We have found time to work on Raft again! And do we have some exciting stuff to show you! First though, we would like to talk about the future development of Raft. Lets start with some background. The Raft prototypes that you have been playing was originally created during an University course. We never had any idea about how big of a following it was going to get or how much you all would appreciate it. When we first noticed YouTubers making videos of it and we started getting a lot of downloads, we wanted to give you all something for it, so we made small updates with some new stuff. Now that we’ve seen your love for the idea, we want to turn it into a “real” game. By that we mean something much bigger than it is now. This means bigger, more technically difficult features, a lot more content and more polishing. In order to be able to do this, we feel we won’t be able to keep uploading new versions as this means we need to make sure everything works for each update, which takes a lot of time. Because of this, we have decided to stop posting more updates on itch. Instead, we are going to take a bigger chunk of time, work hard and try to eventually launch on Steam! Yes, you heard us right! As many of you have requested, we will try our hand at launching the game on Steam. Nothing is set in stone yet, but this is our goal! As to when the game will launch, we can’t say at this point. We hope you understand our decision to stop updating the game on itch. While it will take longer until you will be able to enjoy new features in Raft, we believe this will speed up the development and lead to a better product in the future! …Lets get to the fun stuff! So! We have for a long time felt that the raft is a bit stiff. It doesn’t really feel like you’re in the water. That’s understandable since the raft has just been moving up and down slightly. This is about to change!! Let us introduce… Buoyancy!! As you can see in the gif, the raft now actually floats on the water! This provides a much more raft-like feeling to your floating home. We think you will like it! We also feel it’s a bit weird that you can’t swim into the depths of the ocean. It is a game based at sea after all. Well would you look at that! You can now! You can finally take a dive into the blue abyss! So. What do you do in the ocean except being afraid of the shark? Well, we’ve been working on something we hope you’ll appreciate! Reefs! 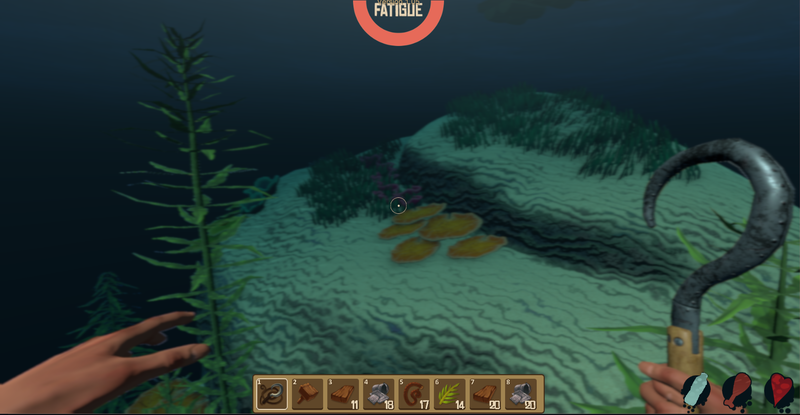 Reefs are a new place to find materials in order to craft new stuff! Exactly what will be found here won’t be revealed quite yet though. What we can tell you is to watch out for eels. They don’t like you invading their home! We hope you like the stuff we’ve shown and we would like to wish you happy Easter! As always, we love to hear your feedback on what we show here, so let us have it! Until next time! Consider the skill, like you can’t swimm but you can learn. when the new version is released with this update? Looks really cool can’t wait to play it. Will it have multiplayer? It looks sooo goood! Good luck on further development! Excellent! The demo was a great tease, I’ll definitely pick it up when it hits steam. This is all cool and dandy, but.. where/when is this live and playable? Hola mi nombres es Jorge Girón soy colombiano, no sé si hablen español pero me encanta su juego creo que es uno de los mejores juegos que menos pesa para un PC me encantaría ayudarles en dos cosas uno saber si puedo invertir dinero en este nuevo para un mejor desarrollo y poder ser accionista de él y dos aportar ideas para darle más innovación al juego ya que creo que tiene mucho potencial para ser un juego profesional espero poder contactarme con ustedes y podamos hacer crecer aún más este increíble juego de supervivencia. Looking awesome! I wish you only the best success with this endeavor! Super excited about the buoyancy, wave effects and reefs!!!! *Will the current version remain free and in it’s current condition on itch.io ? *Do you plan to release the final version of the game or will you release a beta version? Anyway, I just wondered about that. I will follow the blog here and on itch.io. Looking forward to seeing your game in te steam store! When you do get there, I would love to be a part of the forum there. Tried this game and also with multiplayer addon. It’s very fun to play specially multiplayer. There a release Dare For Raft On Stea! 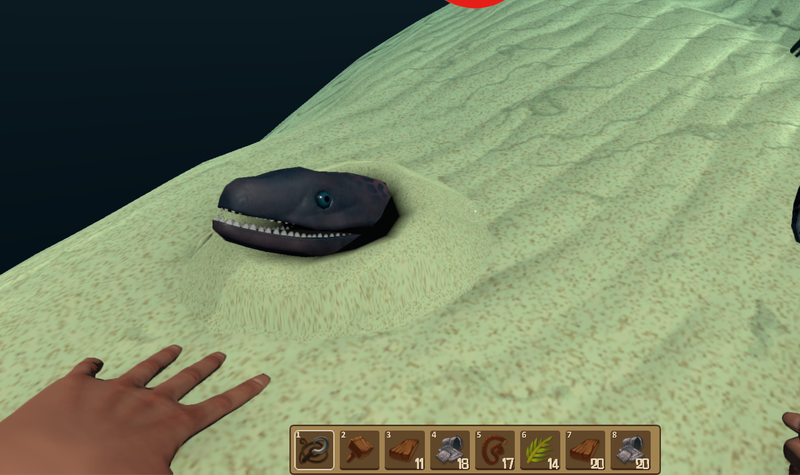 I played the steam version, and where are the eels?